Step 1 In a heavy saucepan, combine the apricots, honey and sugar and bring to a simmer over medium heat, stirring occasionally. 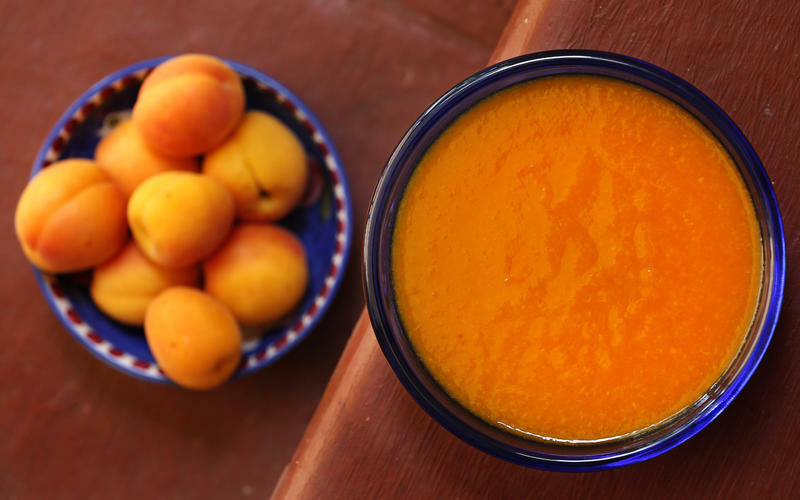 Reduce the heat to low, cover and continue to simmer until the apricots have broken down into a thick sauce (timing will vary depending on ripeness of the apricots), 15 to 25 minutes. Stir in the almond extract. Step 2 Transfer the mixture to a food mil fitted with the fine disk and press through to puree, discarding the skins. Serve warm or at room temperature. In Recipes-list.com we have selected the most viewed recipes from category - . Enjoy the best recipes specially selected for you! Apricot purée is the right choice that will satisfy all your claims.